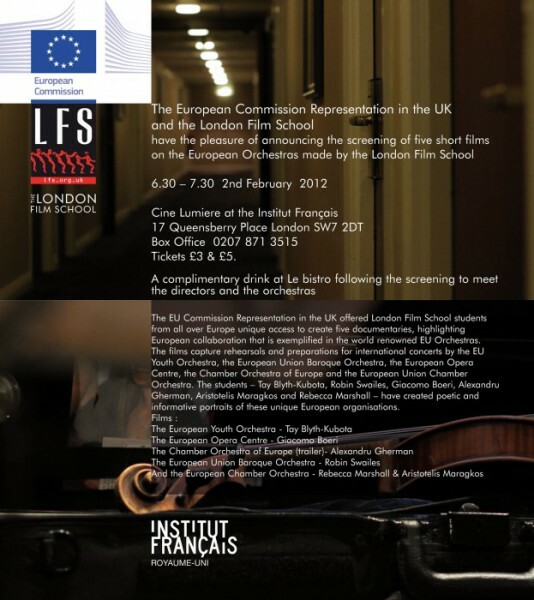 On February 2nd there was a special screening of the Chamber Orchestra of Europe clip “A Snapshot” at Cine Lumiere at the Institut Francais London. The screening presented all the five films about the world renowned European Orchestras: the EU Youth Orchestra, the EU Baroque Orchestra, the European Opera Centre, the Chamber Orchestra of Europe and the EU Chamber Orchestra. The clip is a short preview of the longer documentary about the Chamber Orchestra of Europe that is going to be finalized in March.